I know new people always have a lot of questions about kimono when they first start. So I thought I would just write out some answers to some of the most common and useful questions newbies have. 1. What are the different types of kimono? 2. Are there different kimono for different ages? 3. What size kimono do I need? 4. How does seasonality work for kimono? 5. How formal are kimono and when can I wear them? 6. Does color have any meaning with kimono? 7. Do the motifs and patterns on a kimono have any meaning? 8. What types of fabric are kimono made from? 9. How do I clean a kimono? 10. How should I store my kimono? 11. How much do kimono cost? 12. What do I need to wear kimono? 13. Are there any kimono meetup groups or online communities? A New Seller Appears! Ohio Kimono! ​Hello hello! I have wonderful news to tell you all. I have personally worked with Ohio Kimono (I do mean literally in person), and I can attest that the owner knows kimono. Not only that, but her business ethics are top notch. I can't tell you how many times I've seen kimono dealers selling women's kimono to men or men's kimono to women without informing the customer. Now, I have no issue with people wearing whatever they want. In fact, I like to wear men's kimono myself! But I think it is your DUTY as a seller to make sure your customer is fully aware of what they are purchasing and are comfortable with what they're buying. The first kimono I ever bought was a cheap fake. But the kimono shop told me it was authentic kimono, straight from Japan! It was really heart breaking when I found out the hard way that I was wearing a cheap tourist bathrobe. No one wants to find out that they've been lied to, or at least information has been kept from them just to insure you spend lots of money. Some great points of their website are you can not only buy kimono, obi, and all the accessories... but you can also follow their convention schedule, learn more about kimono, see a list of other kimono blogs, and get some EXCLUSIVE PRODUCTS ONLY SOLD BY OHIO KIMONO. This is a legitimate business guys! Recently I went to the Myoken Festival in Yatsushiro. And I saw a lot of wonderful outfits. We may see modern kimono on the streets, but there were so many kinds of outfits throughout the Edo period (when the festival was founded). So I'd like to use the Myoken Festival as a case study to pick apart the less commonly seen clothing from Japanese history. All photos, unless captioned otherwise, come from the official photo contest for the Myoken Festival which you can find on the festival website here. If you see any mistakes or have some information to add, please let me know! A kimono with hakama (the skirt) and Kataginu (the sleeveless vest with pointy shoulders). By the Muromachi-Momoyama period, this was daily wear for samurai. 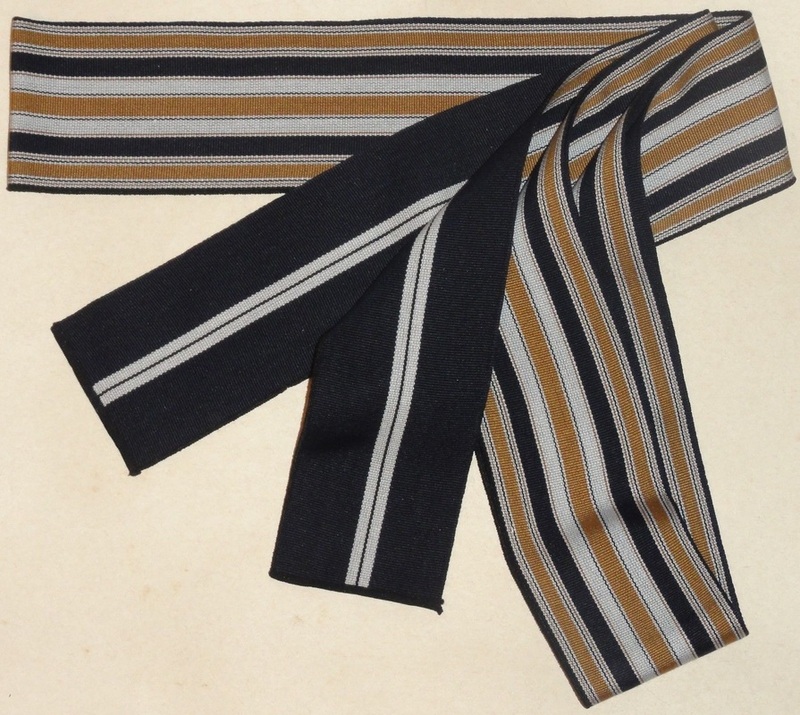 And while it was wildly popular by the Edo period, it was mostly worn for more formal occasions. The hat that he is wearing, and many others in these photos, is called a ichimonji gasa or sometimes yakko gasa. It was a standard straw hat good for blocking sunlight or protecting your head from snow and rain. The ichimonji gasa is a type of military hat. So recently I've moved to Japan to teach English for a little while. The move and new job has kept me pretty busy. But finally I had time to go kimono shopping. Now, I only brought 2 kimono with me to Japan, one formal houmongi and one casual komon. My goal is to buy everything cheap in Japan, and bring it back with me to America. My first stop was Gallery Kawano's 1000 Yen kimono sale. Now the real Gallery Kawano is in Tokyo, but every so often they have a sale down here in Kyushu at The West Coast (西海岸) in Yanagawa (Fukuoka prefecture). 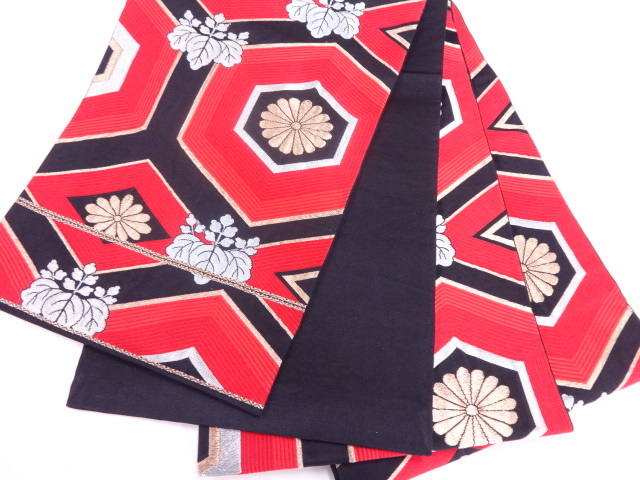 They fill the entire second floor of The West Coast with kimono, obi, and other accessories. My neighbor and I made the one hour drive to indulge ourselves. For beginners, it can be very hard to pick up all the vocabulary associated with kimono. 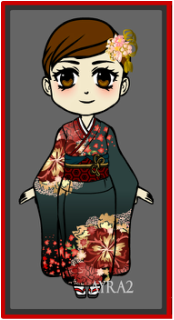 So today I'm going to show you pictures and descriptions of some common kimono related terms and names. The kimono is the outer most garment. They come in many different styles, fabrics, patterns, and sizes. The obi is the wide sash that holds the kimono shut. These also come in various styles, fabrics, patterns, and sizes. Having developed a love of Japanese culture at an early age, Ara is currently living out the dream in Japan. Buying cheap kimono and exploring historical land marks. Occasionally they also find the time to write a blog post or two.